People often ask us about our “architectural trips” – travel planned around significant architecture rather than a specific country or city. “Where are you going next?” and “How did you find that incredible place to stay?” are frequent questions. After architecture school, our first architectural focused travel (or maybe we should call it a pilgrimage?) was to Marfa, Texas for New Year’s Eve 2006. 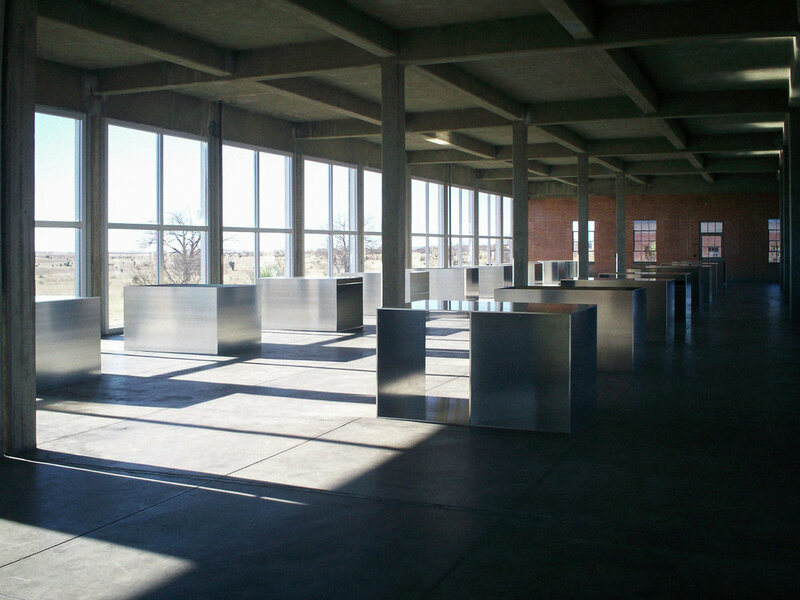 Of course, we went specifically to see Donald Judd’s buildings and art, but we found so much more – extraordinary landscapes, incredible food, great coffee, cool motels, bookstores, and galleries featuring the work of prominent local and international artists. We loved the entire experience: the prior architectural research, being removed from our day-to-day life, and immersing ourselves in a new environment. We were hooked. On that trip, we made the goal of making one expedition per year to experience incredible architecture, and so it began. Please join us as we share our adventures!